Santa Barbara County Animal Services and C.A.R.E.4Paws are joining forces to bring a dog licensing and free spaying and neutering clinic to the New Cuyama Valley Family Resource Center from 10 a.m. to 1 p.m. Sunday. Appointments for free spaying or neutering are available to Santa Barbara County pet owners only, said a County Public Health Department spokeswoman. 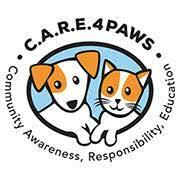 Appointments should be made with C.A.R.E.4Paws by calling 968-2273 or emailing info@care4paws.org. Because time slots for spaying and neutering are limited, pet owners are advised to make an appointment soon, the spokeswoman said.